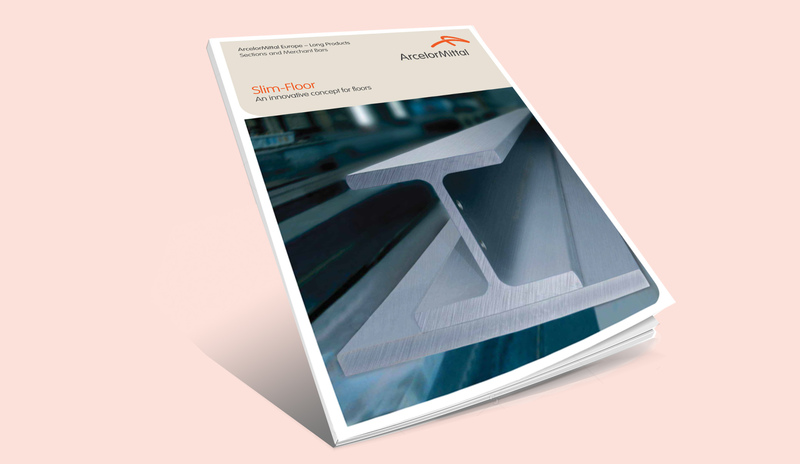 Developed by the ArcelorMittal group, “Slim-Floor” construction is a fast, innovative and economical solution, which combines prefabricated slabs with built-in steel beams. Created to eliminate beam downstands under the floor, this reliable and economic construction method gives the architect new scope for imagination and guaranteed economy for beam spans up to 14 metres. This arrangement makes it possible to place slab elements directly onto the lower flange of the beam, which results in an integrated solution characterised by a very slim floor thickness. Slim-Floor construction has numerous technical and economical advantages and a wide range of cross sections is available, assuring maximum freedom in layouts. Thanks to the development of “CoSFB”, a new and innovative composite Slim-Floor beam, the application range can be significantly enlarged. 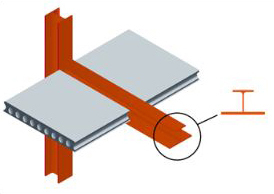 The CoSFB (= Composite Slim-Floor Beam) is a new development from ArcelorMittal which combines the advantages of composite design with traditional slim-floor construction. The biggest innovation regards the connection between in-situ concrete and the hot rolled steel section which is assured by concrete dowels. These dowels are openings in the web of the steel section, penetrated by reinforced concrete. Thanks to this innovative shear connection the composite action is assured without an increase of the construction height! Due to the composite action the stiffness and robustness of the structure is significantly increased. In addition, CoSFB fulfills the requirements for fire resistance classes R60 and R90 (R120 depending on load cases and slab typology) without any passive fire protection. Typical application range of CoSFB is beam span from 8m up to 14m, with a construction height of only 40cm and a beam distance up to 10m. CoSFB fits perfectly to the demands of modern architecture to long spans.